It doesn’t matter which era we look at, we have always chosen heroes. People who we admire, respect, and emulate. Who is your hero? Who do your kids admire? Do they share the same qualities? Few would dispute that the American Firefighter is at the top of any list. They demonstrate Bravery and Courage beyond compare. But there is more... they share compassion, a spirit and a tenderness that makes them real and gives them “heart”. True heroes stand the test of time, Firefighters are always brave and yet, tender. That’s why whether we talk about the new millennium or the 1880’s, the same qualities ring true for a firefighter. Each year we are amazed at the quality of the Firefighter of the Year nominations, not only for their bravery, but the tenderness they show to the community, and their humble attitudes at being recognized. To our winners, it is a job that they do well, and they need little reward beyond that. 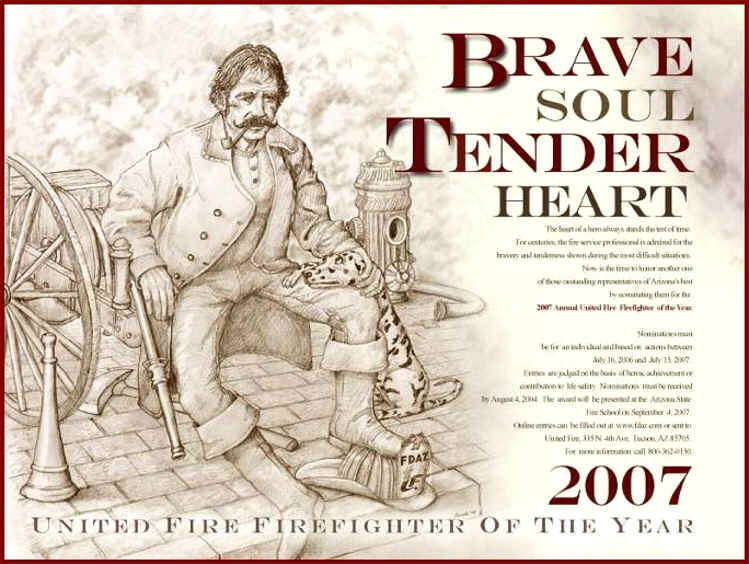 In 2007, the judges looked for fire service professionals that combined the two traits of a hero: A Brave Soul and A Tender Heart. 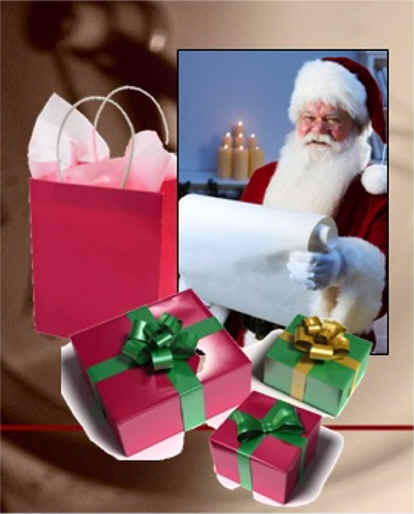 They selected someone that has dedicated over three decades to the fire service and has volunteered countless hours for the children in our community. 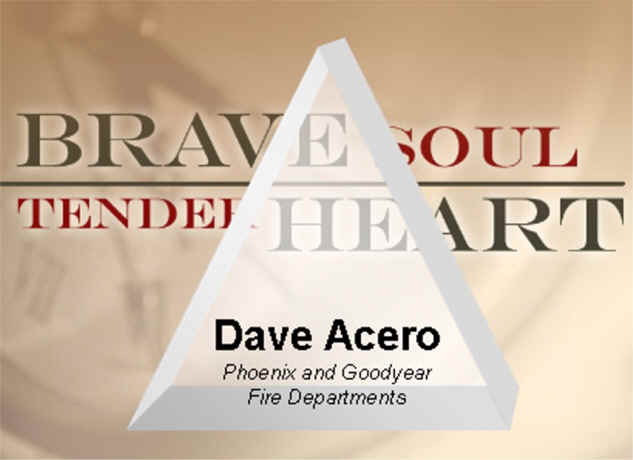 Dave Acero, who is actually better known as, “Fire Pal Dave”, is a member of both the Phoenix & Goodyear Fire Departments. 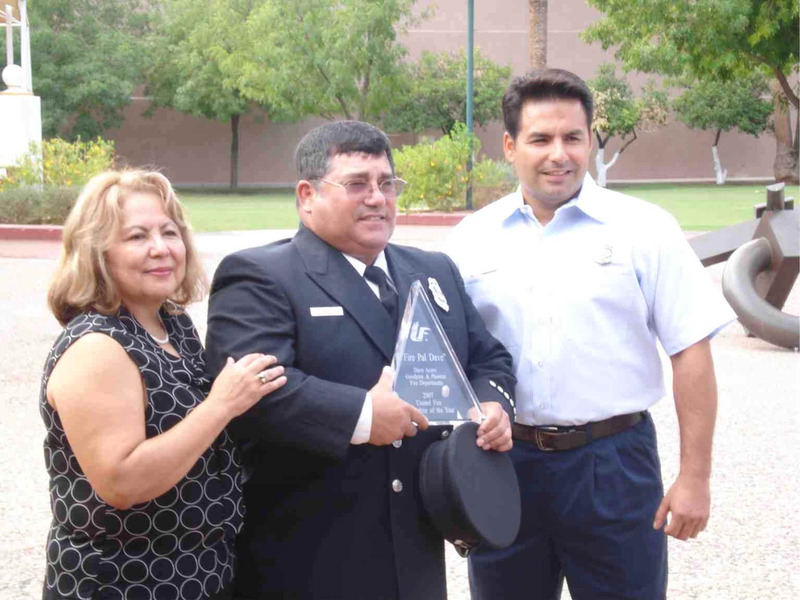 Dave has been a firefighter with the Phoenix Fire Department for 33 years. For the last 21 years he has been working at Station 39 as a highly respected Engineer. For seven years Dave volunteered at Camp Courage and in 1999 was selected as councilor of the year. 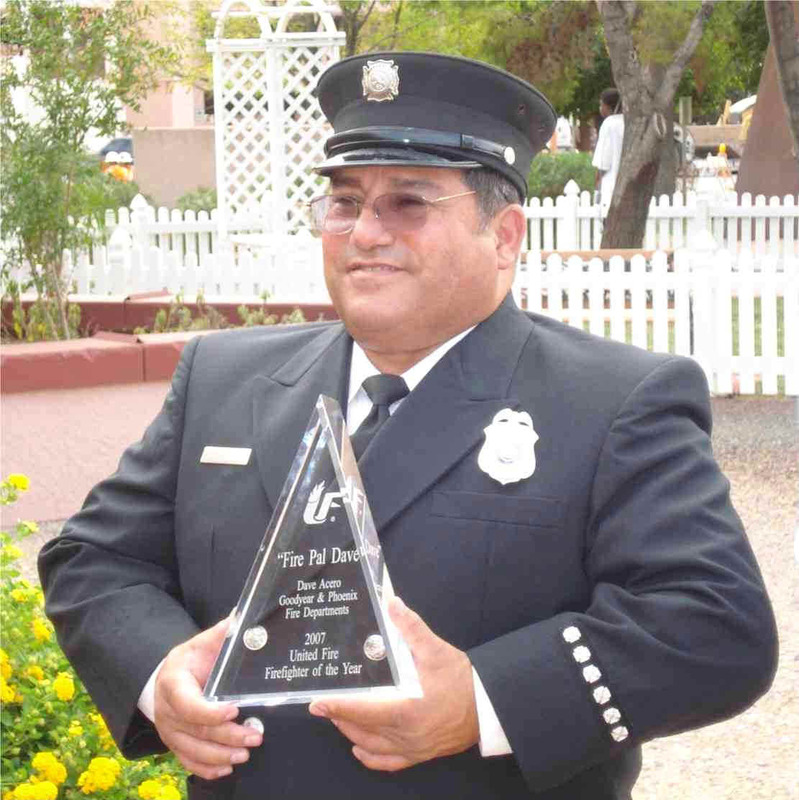 Dave’s public education achievements have been numerous and in 2000 he was named Firefighter of the Year by the Professional Firefighters Association. 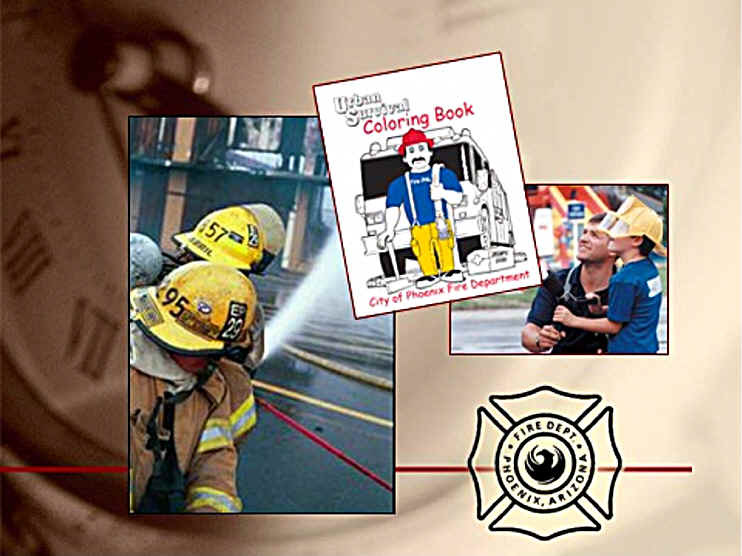 During his tenure with Phoenix the basic "Learn Not to Burn" program was enhanced in cooperation with teachers and firefighters to now include 39 different modules to provide a realistic and comprehensive program to help students prepare for “Urban Survival”. By rallying together support from Goodyear & Phoenix locals, as well as community minded businesses, Dave has been able to provide annual Holiday parties at his fire station for disadvantaged families, which also illustrates to kids the true meaning of “Christmas giving”. He really does have a Tender Heart! 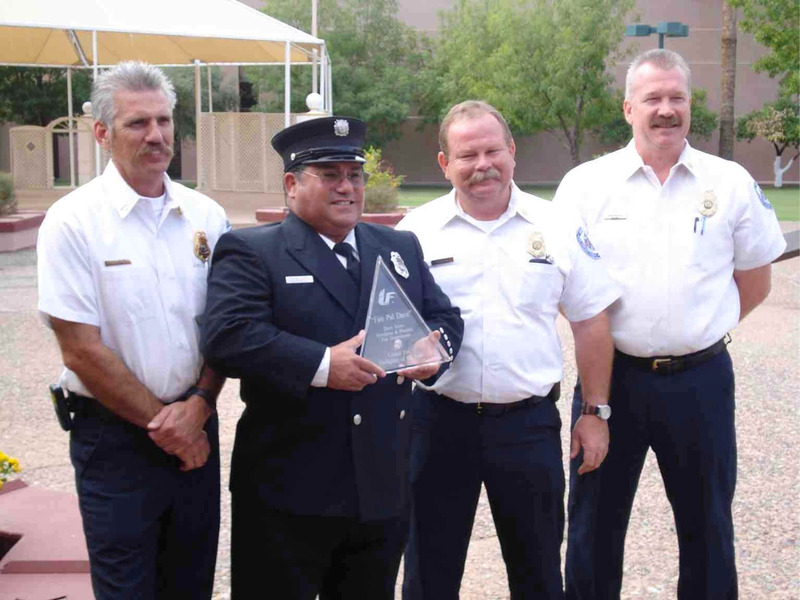 Fifteen years ago, Dave started sharing the programs he learned at Phoenix Fire by volunteering with departments that had fewer resources. 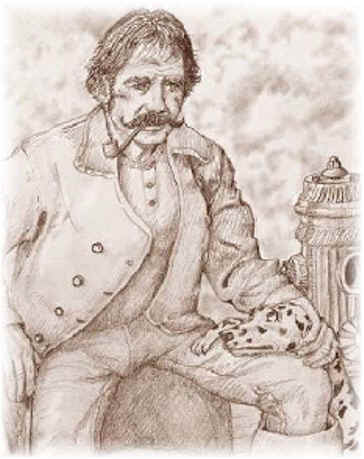 Dave became instrumental in helping Goodyear to develop their own excellent Urban Survival program. 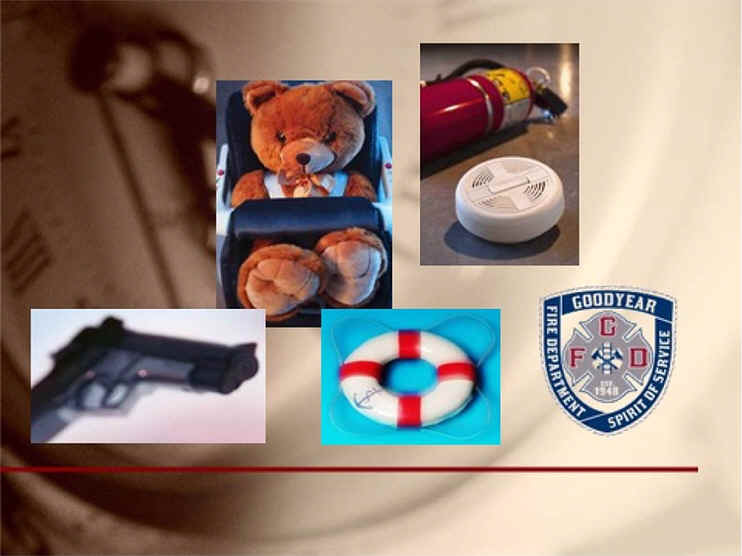 The program includes requirements for kids to take on more responsibility and to educate their parents about things like: smoke detectors, fire evacuation plans, seatbelts, helmets, gun safety, and pool safety. Dave develops age appropriate lessons and includes anything that will keep the student’s attention on his message, including a Dalmatian puppet named “Smokey Hacking Cough”, magic tricks, music, and getting the teachers to dance, which always makes the kids laugh. 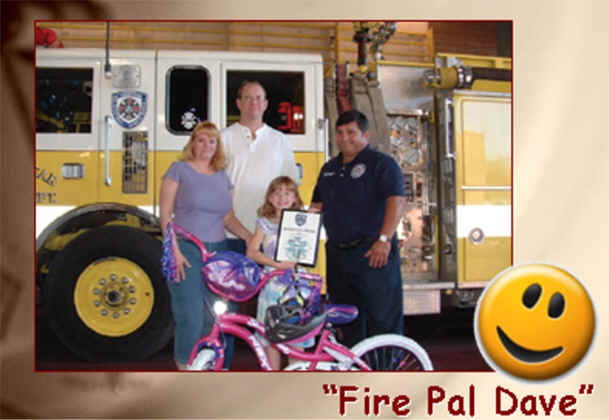 Today he is known as “Fire Pal Dave” to many Goodyear school kids. He is working with seven schools in Goodyear in addition to seven different Head Start pre-schools. But Dave’s efforts don’t end there. He reaches out to other fire departments as well and is currently partnering with the Avondale Fire Department to train additional instructors in “Community Risk Reduction”. Fire Pal Dave tends to focus on the more needy schools that reside in some rough neighborhoods. He strives to get these kids recognized for doing the right thing, and builds community support. When students use the information he teaches them, he looks for ways to reward them. He has recognized students with awards for saving family members from drowning, helping with car accident victims and reporting guns seen in their schools. Dave is not only a hero in our eyes, but his passion is enabling hundreds of Arizona school children to be heroes in their own communities. Dave’s work in safety, fire prevention and public education is an area that often goes unrecognized when we talk about firefighters. Too often, we look to the single heroic act that defines “hero” for us. But today, it is our hope that each of you will have a new definition for that term “hero”. Today, we recognize that it takes more than a Brave Soul…it also takes someone like Dave Acero, and a Tender Heart.